Some might call this a neutral palette - I guess the shades are neutral-ish - but to me there are some slightly out of my comfort zone colours here, so I'd put this in the slightly more bold and smoky category, with a couple of really soft nudey colours just to hold your hand. The compact styling gives the whole palette that chocolate box feel, which fits well with the name of the palette of course. It's a slight shame that it's made of cardboard, as that means it probably won't last as long as some of my sturdier palettes, but for now it closes nicely and the whole palette is nice and slim and compact. I thought mirrors in eyeshadow palettes didn't bother me too much until I found myself constantly glancing at the inside of the lid of this palette and then back to my own mirror every time I apply these shadows. It would be nice if there was a mirror - not an essential, but it would be handy. So onto the colours - there are ten shades here, and they're all warm toned and have a real bronzey sort of colour theme to them, and you have a good mix of both matte and shimmer. The pigmentation is truly fantastic and every shade swatched with ease. Even the palest matte cream shade shows up brilliantly on my lids. The metallic finish shadows are a joy to apply and blend, with Pure Ganache being my favourite for a rich and intense bronze-gold eye. Subtle Blend is also lovely, and Infusion creates a great smoky look in the outer corner and crease. I'm still working through all the colours and seeing how they pair up, and I'm building the courage to try out the cranberry coloured Warm Notes - maybe Autumn will be the perfect time to bust this one out. This is the first colour palette I've bought from Zoeva - prior to this I've only tried their fabulous brushes (and I really should pop up a review of those soon) - but I've been pretty much bowled over and am I already considering which of their other palettes I need next... Rose Golden I'm looking at you! The Zoeva Cocoa Blend palette is available at Beauty Bay for £15.50 - it often goes out of stock as I intimated at the start of this post, but stick with it, and cocoa palette goodness can be yours! The other alternative is to buy direct from the Zoeva website in Germany (currently in stock! ), although it seems to work out a little more expensive at €25 once you've added the delivery charge and considered the exchange rate. Have you tried any Zoeva makeup? 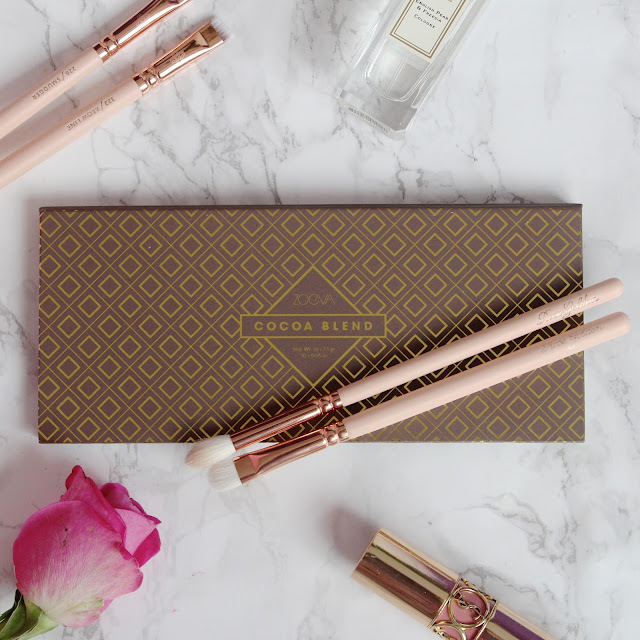 Oooh I'll have to have a snoop on your blog to see the other Zoeva palettes you have!